Even the cleanest of homes can sometimes harbour a number of odours and smells, so grab one of these best air fresheners to banish them. Perhaps you've cooked fish for dinner, been on a rainy dog walk or have a flu-ridden child? Whatever the reason, an air freshener will soon make your house smell like home again – and some even claim to kill bacteria. We've rounded up the best plug-in air fresheners, spray versions, gels, waxes, purifying bags and oils, so you can choose the best for your home and needs. See all the best home scents for every room in our buyer's guide. For more cleaning product recommendations, head to our cleaning sourcebook for 50 of the best home cleaning essentials, or head to our dedicated hub page for cleaning hints, tips and step by steps. Air fresheners are a great alternative to scented candles, incense or oil diffusers, especially for daily use. They tend to smell a lot stronger, last a lot longer and are cheaper to buy; similar to using a body spray on a daily basis and saving your favourite eau de parfum for special occasions. They're also a lot safer as there are no flames or electricals involved. Which air freshener is best? There's a range of different styles of air freshener to choose from, depending on where you wish to place it. 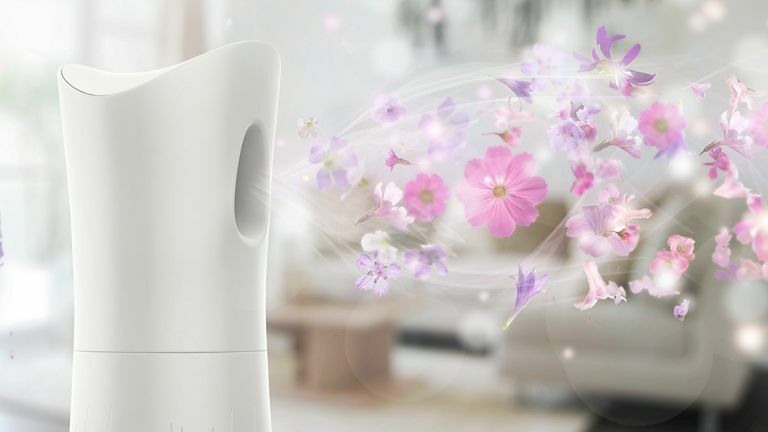 Some come in the form of a spray so you can choose as and when you use it, or if you want a continuously fresh smelling home, opt for an automatic spray which plugs into the wall and periodically emits fragrance into the room. Some home air fresheners will just cover up bad odours, but if you’re also looking to eliminate strong smells from the home then you can look for purifying air fresheners designed to absorb the smells and leave the home smelling naturally fresh. To find out how to get rid of household smells with clever cleaning hacks, see our dedicated feature. In the meantime, we’ve picked out some of the best home air fresheners that will keep each room smelling amazing. Which one will be your favourite? In our opinion, this is the best air freshener you can buy for your home, and the best part is that it's made with no synthetic chemicals, but from a unique blend of 100 per cent pure and natural essential oils. Just one spray will make a difference and you'll immediately notice the air clearing. As for the scent, it's natural and fresh with notes of tea tree, peppermint and eucalyptus. You can also spray it on to carpets, bedding and upholstery to immediately freshen a room. The only downside is that it's not easily accessible in shops – so buy online. Looking for an environmentally-friendly air freshener? Enter: Ozmo's Anti-Bacterial Air & Fabric Freshener. Not only will this product keep the air in your home fresh, but it's claimed to kill 99.9 per cent of bacteria on hard surfaces, and should help keep sofas, mattresses or cushions fresh and germ-free, too (ideal if you've got kids running and pets around). This multi-use spray gets rid of everything from unpleasant mould smells to pesky pet smells. Its propellant free concentrated format also offers greater value than traditional aerosols (which can contain up to 40 per cent gas), with over 1,400 sprays per pack. It's better for the environment, too. Having pets around the home not only means you have to do more cleaning, it also means you have to be conscious of the products you use, as some aren't pet-friendly. Zoflora Fresh Home Disinfectant can be diluted and used in several ways including in a spray bottle, in your mop bucket for when you clean your floors or you can fill up your sink and add a capful to release the smell throughout your home. It should be made up as one part disinfectant to 40 parts water. This pick doesn't just eliminate odours, it kills 99.9 per cent of viruses, including ones that could potentially cause illness to your pet, while freshening your home. The best air freshener for those who have furry friends, we think. On the hunt for the best air freshener for your bathroom? This little spray might seem a little ridiculous, but not a bad word can be said about it. A few squirts of this spray down the toilet before you go will ensure no unpleasant odours escape into the bathroom. Available in a range of scents including lemon citrus, white flower, strawberry and spearmint; they're all said to have a strong smell which goes a long way. Sometimes a little fiddly to spray when it reaches below half, but all in all, many say they couldn't go without this little lifesaver to cover up nasty smells. This affordable automatic device is a great way to keep every room in the house smelling fresh with no effort needed. Simply plug it in, and over time it will periodically release bursts of fragrance into the home while neutralising odours. It lasts up to 60 days, but you can purchase refills of your favourite scent to continually use the device. Not only is it easy to use, but the scents are the perfect strength, without being overbearing. You can also have it on a low or high setting depending on how much fragrance you want it to emit, and it leaves no wet residue after spritzing. Win win if you ask us. This small and compact air freshener is perfect for both coat closets and hallways, and also households with smokers. Small and discreet, it can easily be placed in a closet or on a shelf without anyone even noticing it’s there. The vanilla latte scent isn’t everyone’s favourite, but for those winter months it can provide a warming smell that makes the home feel cosy. An ideal air freshener to keep in a wardrobe, cloakroom or kitchen cupboard, this odour absorbing gel uses Silver Bullet Technology to neutralise odour molecules in your home, whether it be from smoking, pets or cooking. Lasting for around 90 days, it's better for the environment than an aerosol spray, and subtly releases the smell when needed. In our opinion, this is the best air freshener you can buy for small spaces. Want to keep your home naturally fresh rather than masking bad odours with fragrances? This natural air purifying bag is the one for you. Designed to catch all the bad odours, bacteria and allergens in the air, it will make your home smell fresh again in no time. Some don’t like that this product has no fragrance; however, it's said to work very well in getting rid of damp smells and absorbing excess moisture in the air. We'd suggest using it in conjunction with one of the other air fresheners on our list, for a refreshing smell throughout your household. The very best air freshener you can buy if you're after something to plug-in, Airwick's scented oil home air fresheners are a quick and easy way to ensure your home always smells nice. The oil plugs can be adjusted to emit your desired level of fragrance throughout the day and, once empty, can then simply be refilled with your favourite scent. Lasting for up to 80 days, it plugs in discreetly to your wall without anyone noticing. Our only complaint? It takes up a power outlet. An ideal spray to keep handy in the home, Febreze Mist and Refresh can instantly be sprayed in any room of the house to eliminate odours within seconds. The cotton-fresh smell is much more subtle than citrus or floral smells, and the formula is water-based and non-flammable, which makes it safe to use both whenever, and wherever you need it. It does tend to run out a lot quicker than oils or mists; however, only a few quick spritzes are needed to get your home smelling fresh. Let's be honest, no one likes touching their bins, whether they're indoor or outdoor, clean or not – this is where the Bin Buddy Fresh Citrus Zing comes in. To be used on top of existing rubbish or in an empty bin (bag inside or not), this powder will not only disguise your bin odours, but it'll soak up your bin juice while killing maggots and flies. Also, one pot contains over 30 uses (depending on your bin's size). A game changer don't want to empty your bin constantly (or favour strong-smelling foods). Our choice of the best air freshener for a lovely smelling bin. Bad smells at home – what's the biggest offender? Carpets are the worst culprits for spreading those nasty niffs, but curtains and upholstery come close behind. The best way to tackle them (other than introducing air fresheners) is to give them a good vacuuming or use a steam cleaner. Both of which will make your air fresheners much more effective. Find out more in our guide to cleaning a carpet.